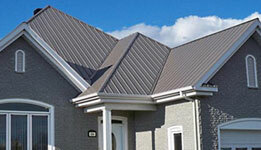 Metal roofs provide energy savings, beauty, and protection for your home that can last a lifetime. 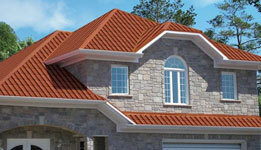 Metal roofs are available in a wide variety of designs and colors to complement any style. Expected life: A properly installed metal roof should last as long as the house, sealing out water and surviving high winds. Metal is resistant to fire, mildew, insects, and rot. Warranties are available. 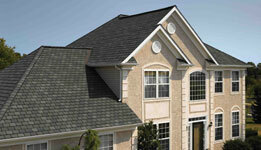 Speed & ease of roofing installation: An accomplished contractor can install metal roofs quickly. Because of the material’s light weight, you can save on engineering and building the supporting structure. Minimal roof pitch: Most metal roofing materials can be installed on gently pitched roofs without presenting a leaking potential. Value: A properly installed asphalt shingles roof will provide your home with a decent level of protection with an average lifespan of 12 to 17 years, all for a modest upfront cost. Warranties are available.